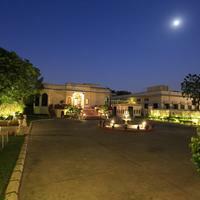 Taj Hotels Resorts Palaces hotels is one of the renowned chain hotels in the industry. This group of hotels offers comfort along with an unforgettable experience to its guests. 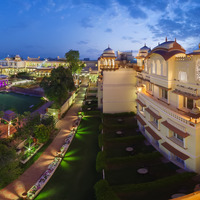 Taj Hotels Resorts Palaces hotels are an expert in the industry due to their widespread holding. It has a reputed name. And the best part is, wherever you go, Taj Hotels Resorts Palaces provide you with the same high-quality experience; thus maintaining uniformity. Taj Hotels Resorts Palaces chain hotels offer comfortable rooms. It gives a number of amenities and services to its guests. When you stay at a Taj Hotels Resorts Palaces hotel, you will enjoy services like efficient room service, quick housekeeping service, and easy check-in and check-out service. Not just this; there are also a number of amenities in Taj Hotels Resorts Palaces hotels that will keep you amused. 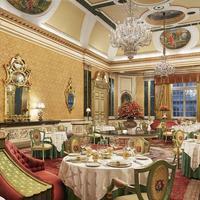 Taj Hotels Resorts Palaces chain hotels have their presence in many cities of India. Some of the top cities of this list include Mumbai, Amritsar, Havelock Island, Bekal, and Panna, among others. If you are looking to book a room in any of the Taj Hotels Resorts Palaces chain hotels, then use the Cleartrip app or website. With its simple navigation, your stay in the Taj Hotels Resorts Palaces hotel will be confirmed in a jiffy. Cleartrip always offers the best deals at the best rates. It ensures a hassle-free travel experience for its customers.